Seriously, guys. I'm having huge creativity block over here. My mind is consumed by pregnancy and diabetes (I'm type 2) right now, and the only creative thing I've done lately is some knitting for baby. Even that's hard since I have no idea what gender this little niblet will be. 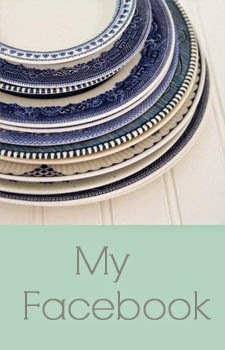 I haven't posted in over a week, and believe me, I haven't forgotten about my blog. I just can't come up with a project to do and blog about. Well, I should say that I can't come up with a quick project to blog about. I haven't found the time to work on anything that would take a good amount of time to work on. I seem to run errands all day and by the time I get home, I'm too tired to do anything. I can only imagine what life will be like once baby arrives. I honestly don't know how you guys with multiple small children find the time to do all of the projects you do, AND blog about them. Like I said earlier, I have been doing some baby knitting. 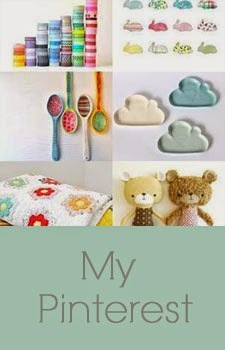 Right now, I'm working on making a mobile that will be a mix between these two CUTE mobiles that I found. I've done the band that goes around the ring and am about to start knitting birds just as soon as I can get a few minutes to sit down. 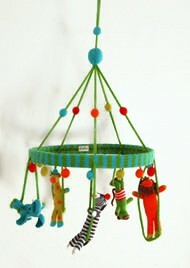 *If anyone is interested in these particular mobiles, you can find them here. I never got to tell you CONGRATS on the newest baby! yay!!! I hope you're feeling okay! 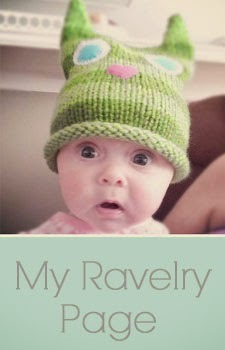 This must be the season in your life to take care of your health, dream of your baby, and knit. Another season will be time for blogging and creative efforts. 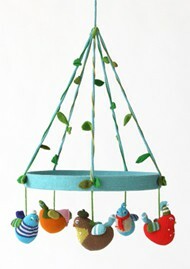 I LOVE, LOVE, LOVE the bird mobile! Can't wait to see your finished product! sorry about the diabetes, that's nervewracking. family first...your readers will remain loyal. we all have creative droughts, lol! so excited to see your finished product! !